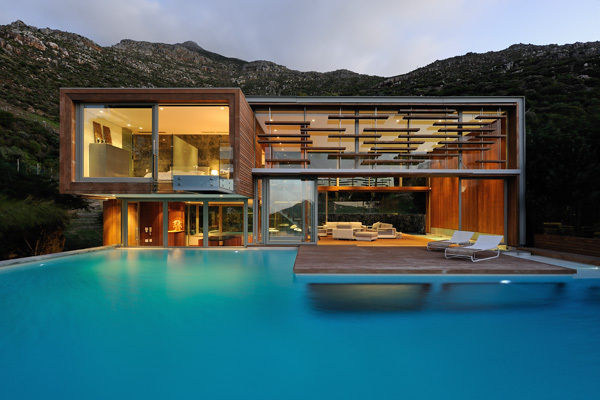 If It's Hip, It's Here (Archives): A Stunning Modern Home With Underwater Spa in Cape Town Makes One Helluva Vacation Rental. 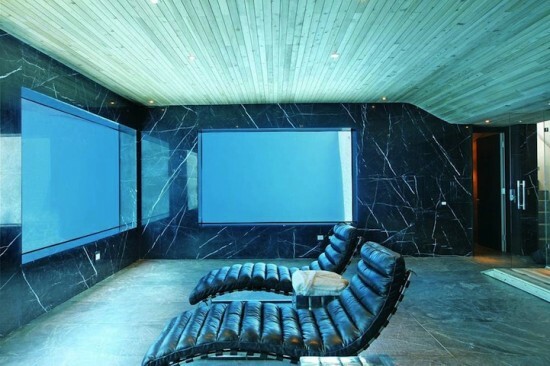 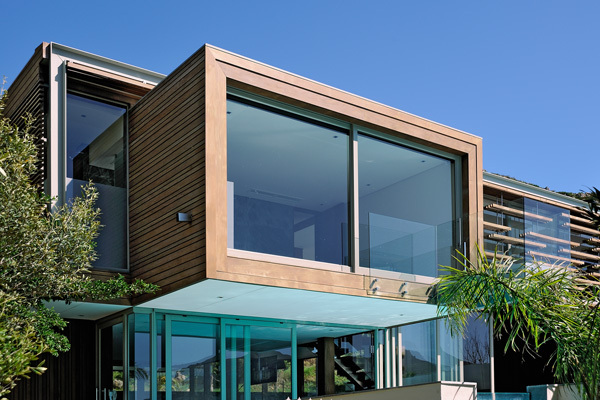 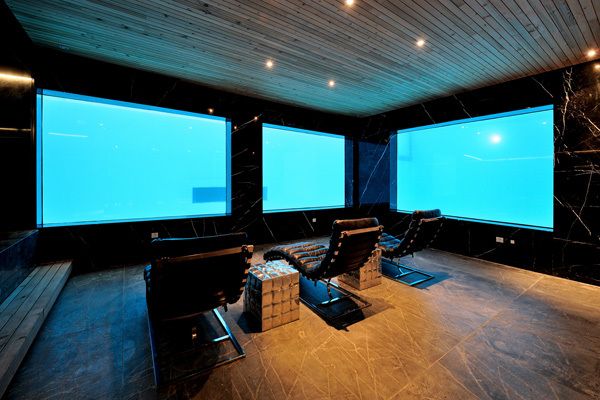 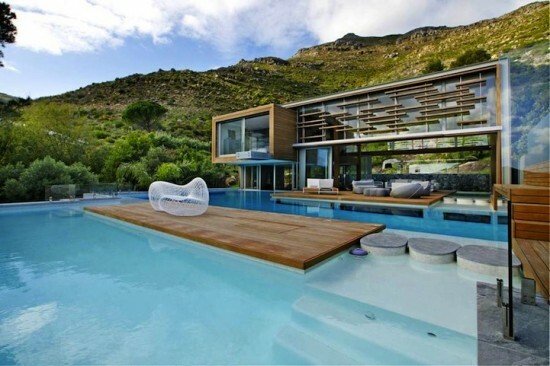 A Stunning Modern Home With Underwater Spa in Cape Town Makes One Helluva Vacation Rental. 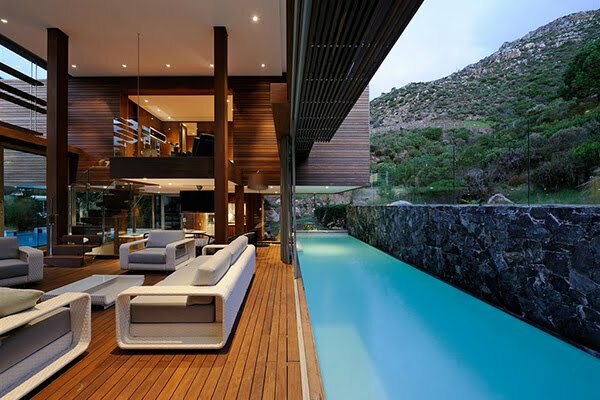 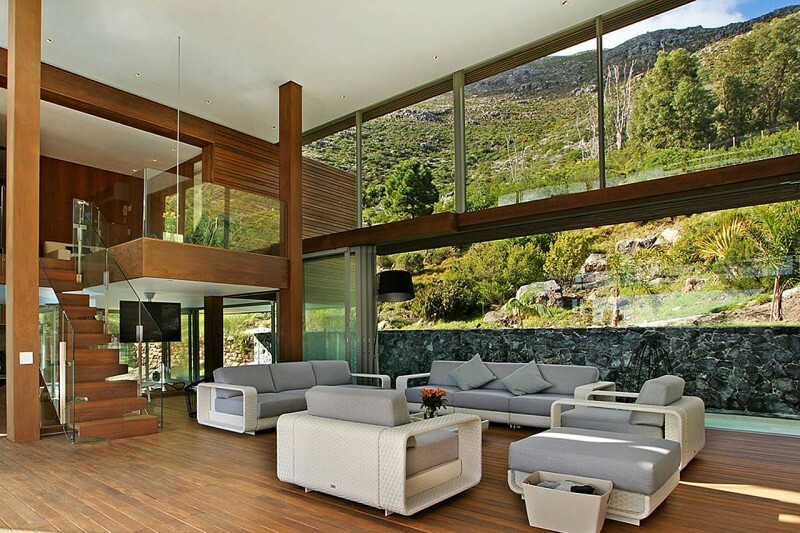 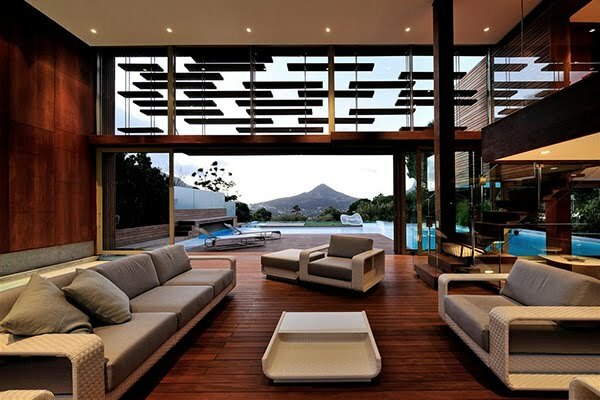 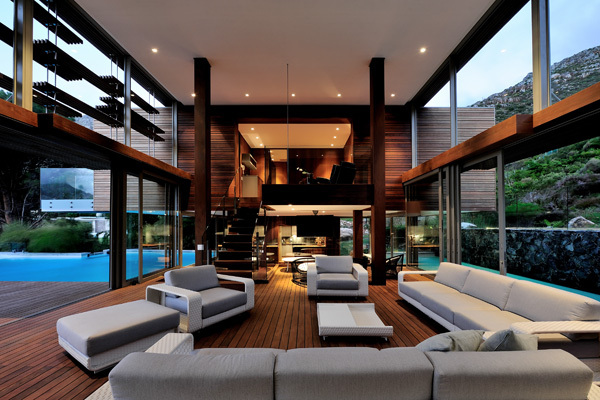 Believe it or not, this gorgeous home in Cape Town, South Africa is available to rent for vacation and holiday stays. 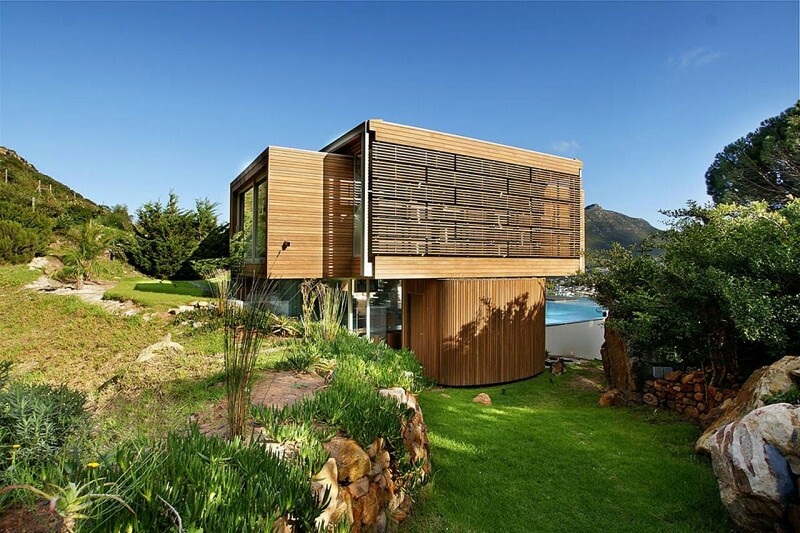 You may have seen a few shots of this modern luxury home a few months ago on fubiz or Trendland, but didn't know it was available to rent. 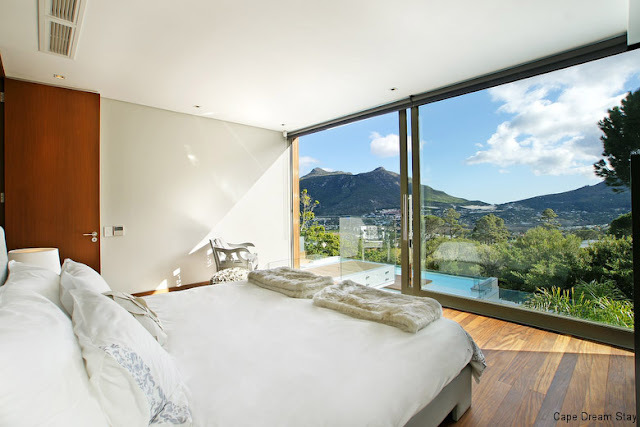 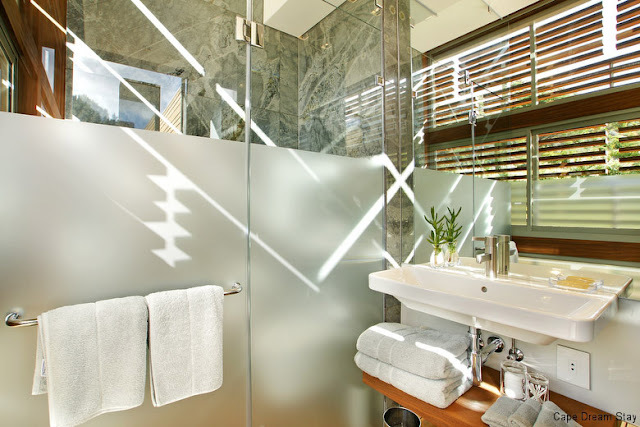 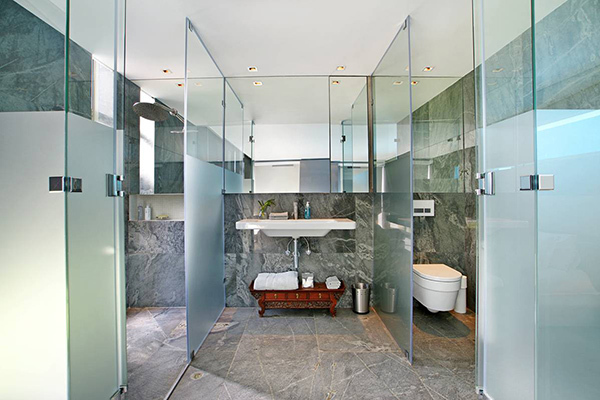 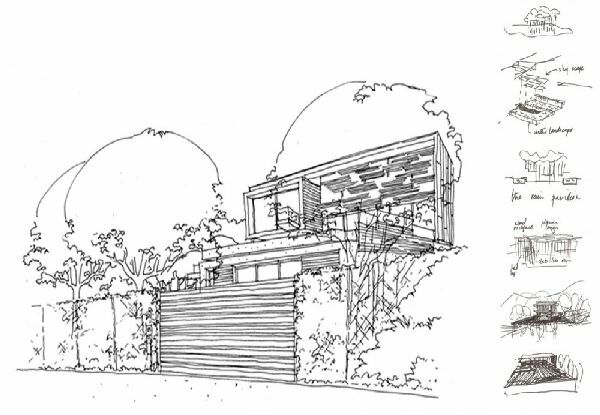 Below are many more images of the interior and exterior of what is called The Spa House in Cape Town (specifically Hout Bay), designed by Metropolis Design, which - as you will see- would make for a spectacular relaxing getaway. 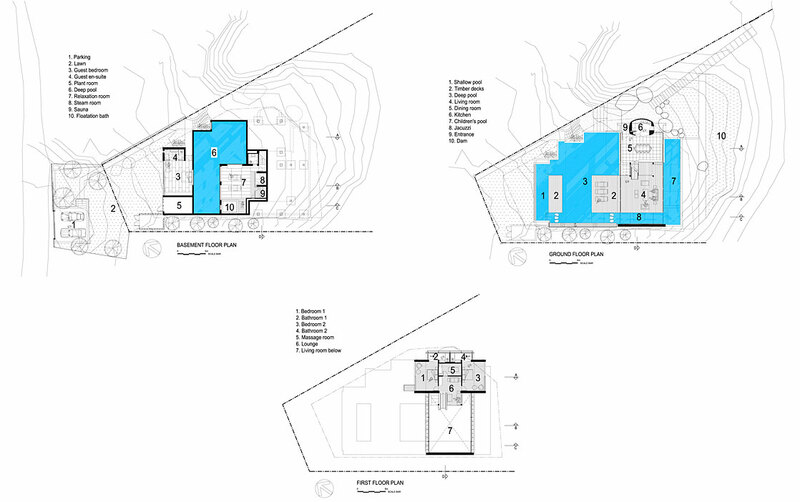 "The inter-penetration of two simple forms, in combination with the staggering of the floorplan, allows a surprising amount of volumetric complexity and spatial interplay in and around the building. 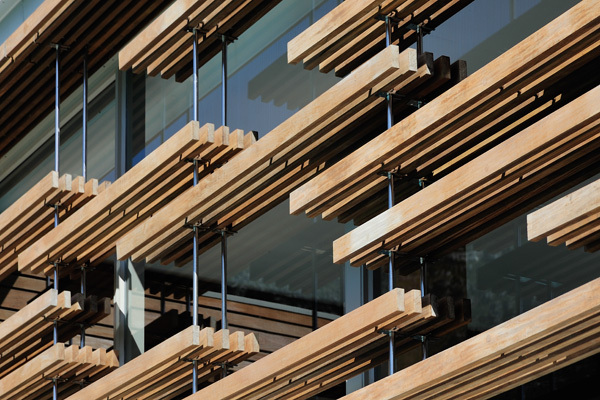 Transparency, an apparent lack of structural support, and the gaps between elements, dematerialize the building and create a presence in the landscape which is of nature, despite its abstraction. 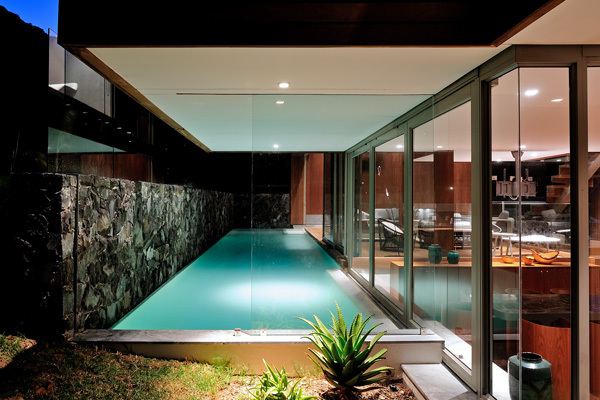 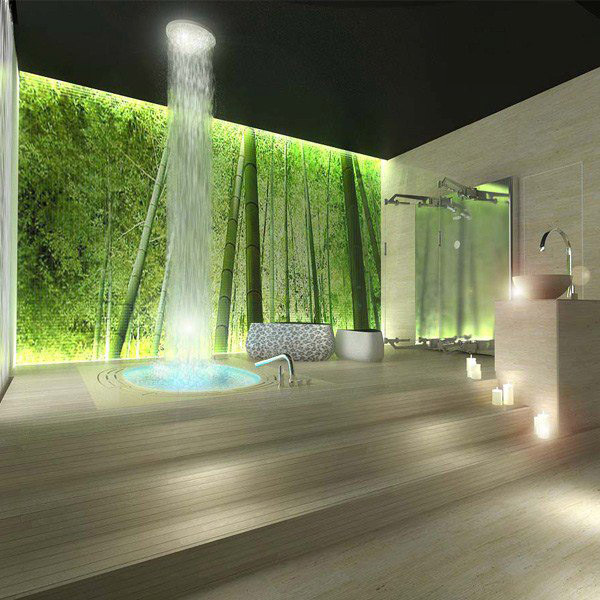 Water as a rejuvenative element, constitutes the primary experience of the building and provides its symbolic language. The building is conceived of as a hovering set of abstract sculptural elements, lightly suspended over a large waterscape, which forms an extended terrace on the mountainside. 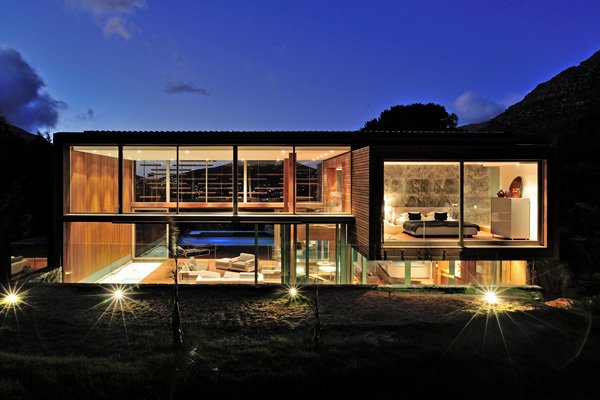 The guest accommodation block hovers dramatically over the water and projects into space towards the mountain and sea. 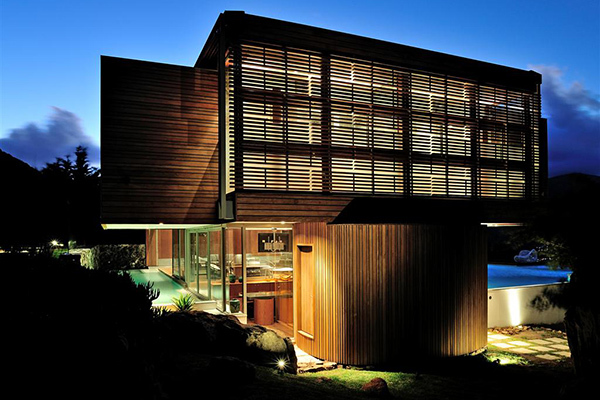 It shelters the dining area, itself submerged below water level. 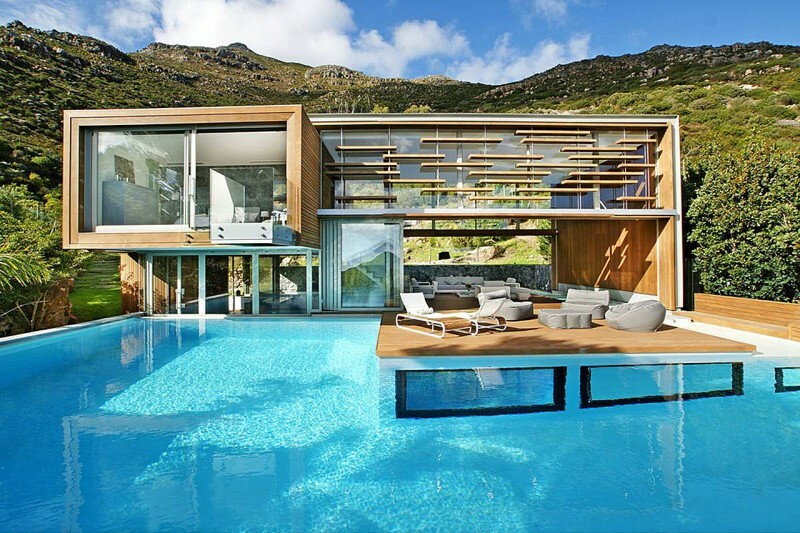 Pool decks are arranged as islands in a sea of water, connected by a bridge. 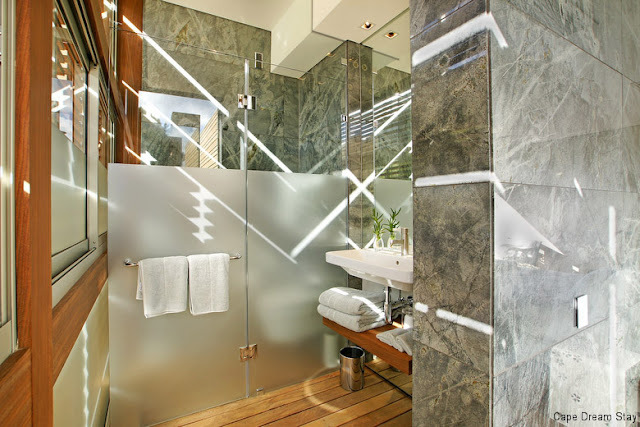 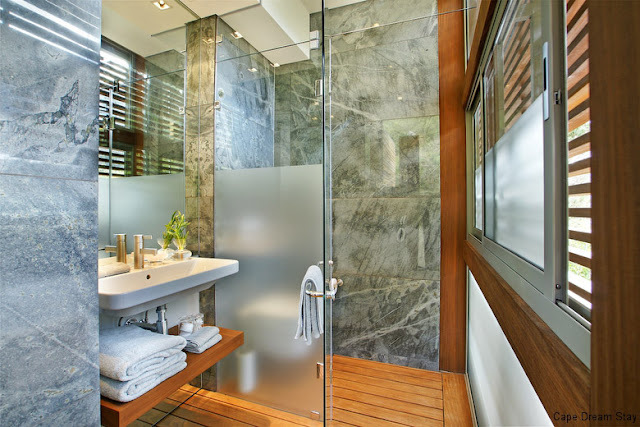 Every room is equipped with the finest and high quality imported wooden floors and marble. 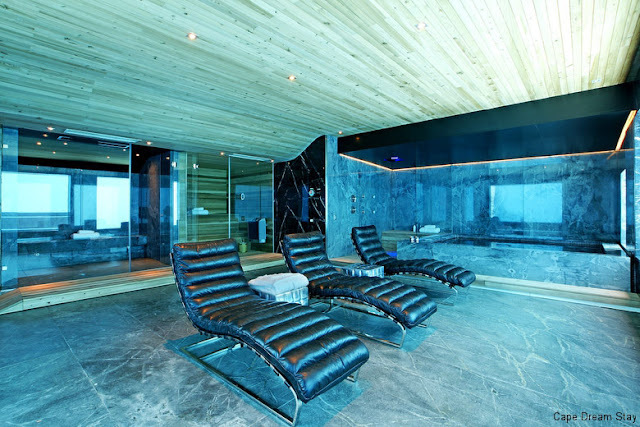 In addition, the home has luxurious touches like a heated indoor jacuzzi, 3D tv viewing area, salt bath, sauna, steam and massage room. 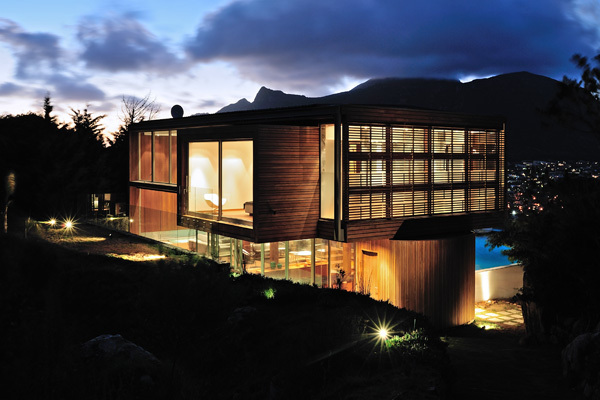 The home is located at the end of a cul de sac, at the local fisherman’s village in Hout Bay and features 3 king-size bedrooms en-suite, large patio, kiddies’ pool, heated indoor Jacuzzi, heated main swimming pool, kitchenette, 3-D TV area, “under water” spa facilities: Salt bath, Sauna, Steam and Massage room. 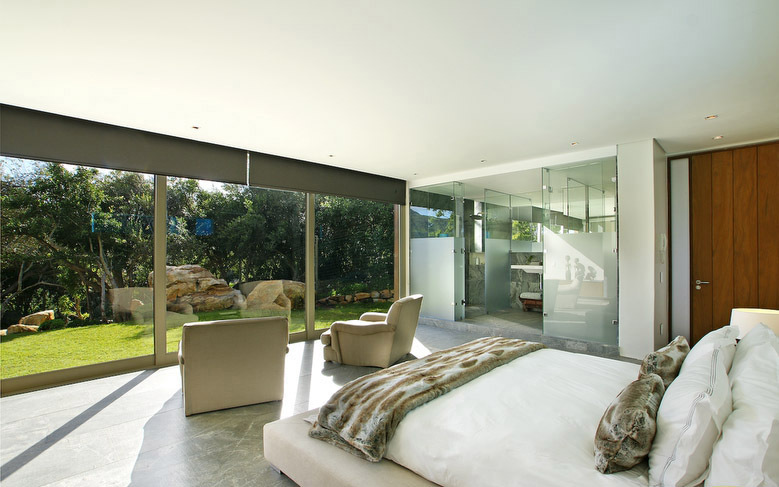 Check here for rental availability and rates.